You can also scribble on your own Scratchpad, keepin’ your closest friends and Connections posted on the the latest. We’re keepin’ personal in this technologically advanced world, takin’ one tech step back with Scratchpad. And we think you’re gonna like it. You can write on your own pad. And so can your friends. Maybe you don’t want everyone you’ve ever met to be updated about your daily life, or sandwich preference. Maybe you do. If so, there’s a great site or two for you. In the meantime, while you’re at Wacktrap, if someone wants to know a bit more about you, they’ll have to make their way to your pad. Some stuff still needs to be private. And we’ve got that covered too. Use Wacktrap Messaging for sending those fast and private messages you've gotta get to your Connections. 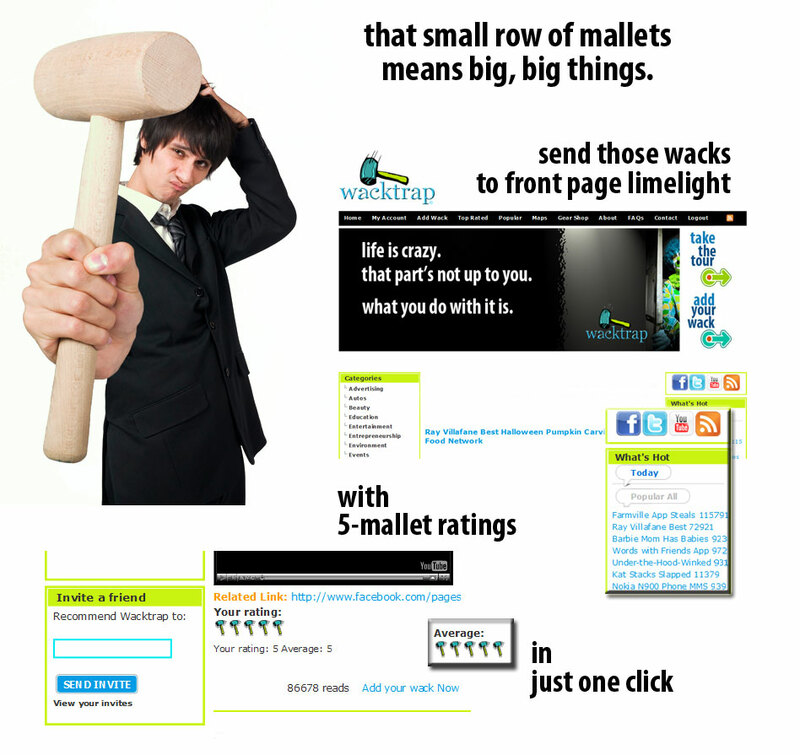 Or use our Share feature to send wack mail to your nearest and dearest who somehow haven't made it to Wacktrap yet. If you're the go-to, better send 'em that invite. You’ll find Scratchpad in My Account, your personal pitstop between wacks-where you can track wacks, add your RSS Subscriptions, get straight to those Wacktrap Bookmarks and check on those Wack Stats. You'll find your pad conveniently located below those mighty important Connections of yours.